An institutional initiative to provide an integrated framework to harness the development potential of three core areas: academic, heritage and culture, and business towards transforming Penang into THE secondary city in the region – the choice for the location of a variety of enterprises, attractive to a wide range of groups. Academic: The creation of a research cluster dedicated to mapping the historical and contemporary linkages of Penang in its Indian Ocean context. Penang has long been at the centre of inter-regional networks of exchange. Although much work has focused on Penang’s position within a Chinese maritime world of commerce and migration, less attention has been paid to Penang’s equally significant connections with South Asia. This workshop—which forms part of the broader Penang Story 2 project—aims to bring together scholars with interests in Penang’s role as a gateway to the Indian Ocean over the past two centuries. The workshop will examine the multiple networks, imperial, commercial, cultural, and biographical, that linked Penang with the littorals of the eastern Indian Ocean, stretching from Burma and Sri Lanka to the “Coromandel Coast” of India. How might Penang be treated as a site through which to examine the density of cultural and economic interactions in the Indian Ocean world, and between the regions conventionally divided into South and Southeast Asia? How have Penang’s urban landscape, its population, and the development of its civic culture borne the imprint of its Indian Ocean connections? How does Penang’s Indian Ocean history feature in popular and official memory in the present day, and with what implications for the future? We invite proposals that investigate any aspect of Penang’s Indian Ocean history, broadly conceived. Topics might include: migration, the interactions between multiple diasporas, trade and flows of material culture, and the history of political and religious ideas. Paper proposals of 300 words should be sent to penangindianocean@gmail.com by 15 April 2011. Regretfully, we are unable to offer financial support for travel to successful applicants, who are asked to find funding from their own institutions, if available, or from external sources. However, discounted rates for accommodation can be arranged. 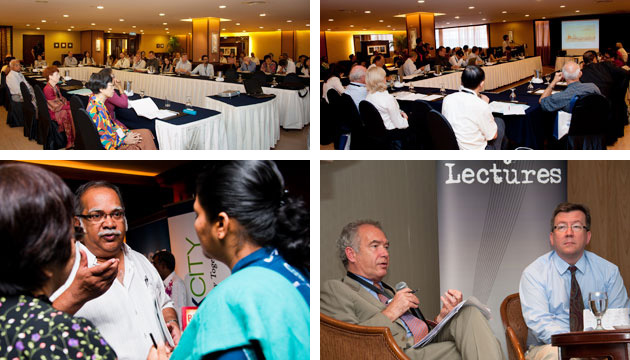 The conference will be held on 17 and 18 September 2011 in Penang (at a venue to be determined). The convenors are Professor Loh Wei Leng (University of Malaya, ret’d. ), Dr Tim Harper (University of Cambridge) and Dr Sunil Amrith (University of London).